Soil sulfur is not a very well known element, but it is part of the macronutrients. Sulfur or S, is absorbed in the same amounts as phosphorus. Uptake of S by grasses is about 10 kg/ha, leguminous crops 25-30 kg/ha and cabbage about 40-45 kg/ha. So why do plants need sulfur? 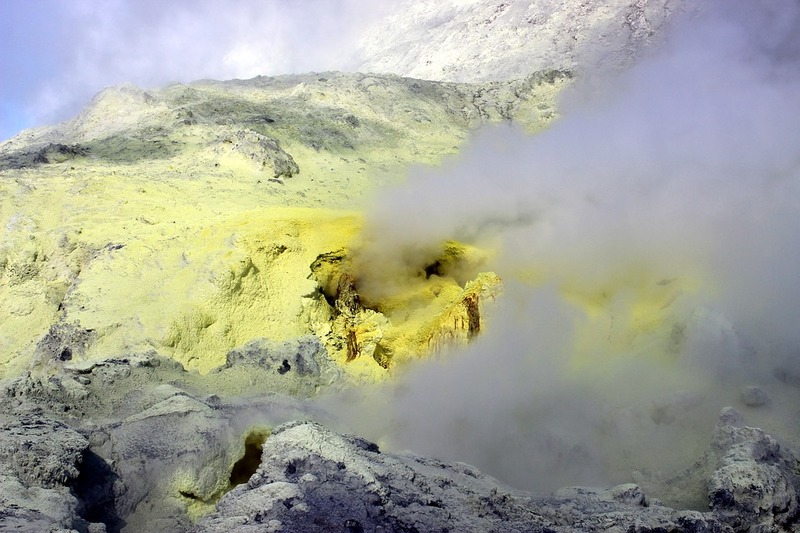 Plants take up sulfur in the form of S2- and SO2 through the leaves from the atmosfeer. It is a component of egg whites and amino acids such as cysteine and methionine. It is a component of vitamin B1 and coenzyme A. It activates various poteolytic enzymes. It is an important part of the aroma in cabbage, turnips and onions. In conjunction with magnesium it helps with plant oil production. It helps with cold tolerance. It prevents nitrate accumulation by converting excess N to protein. The whole plant is light green. Light chlorotic spots appear between the veins of leaves. In some plants, a reddish colour may appear. The chlorotic leaves do no dry out and don’t fall off as in the case of a fungus attack or nitrogen deficiency. S is less mobile in plants than N.
High leaching under irrigation can cause S stress in plants without the grower noticing. The first commercial identification was done in Malawi where S deficiency was misdiagnosed as Tea yellows. In South Africa some S deficiency occurs in Kwazulu Natal. High rainfall or high volume of irrigation. Coarse of rough soil texture throughout the soil profile promoting leaching. Warm climate that promotes biodegradation of organic material. The application of additional organic and non-organic material to the soil that results in wide C:S and/or N:S ratio. The use of fertilizer that does not contain sulfur such as double super phosphate. The use of crops with very high S uptake over a long time. In intensive crop production S deficiencies are rare because most of the fertilizers and sprays already contain enough sulfur for the plant to grow optimally.